In all facilities, having protection against fire damage is a high priority. Nearly all materials, equipment, or machinery has some threat to damage or be completely destroyed in case of a fire. However, certain facilities place a greater emphasis on fire resistance than others. Hazardous chemicals, highly valuable materials, and highly flammable materials all will typically be in structures with a higher fire resistance level. The level of fire resistance depends on mostly on the materials that the wall panel consists of, not just the surface that is exposed to a flame. In some instances, facilities will upgrade their wall panel type to fire resistant in order to further protect their employees and materials inside the structure. However, in most instances, an increased fire rating will be required by an outside agency like a government building code or the facility’s insurer. In instances where a structure holds or is frequently near flammable materials or chemicals, insurance companies will typically require an increased fire resistance in order to reduce the overall risk of property damage and/or life. Otherwise, the insurance company may refuse the facility insurance altogether. For Panel Built, many fire-resistant wall panels are offered in varying degrees of protection. Our standard, Class A wall panel consists of two ½” vinyl covered fire-resistant gypsum sheets sandwiched between a laminated polystyrene core and is 3” thick overall. When a for a wall panel to have a Class A rating, it must not sustain a flame; however, it may still be ignitable. The next step in our fire-resistant panels is our Non-Combustible panels. Similar to our Class A panel, our Non-Combustible panel is 3”. This panel utilizes two specialized ½” fire-resistant gypsum (option of stucco embossed steel skin) and has a 2” thick core consisting of fire rated mineral wool and metal studs (there are multiple variations of this panel; for more info call us at 800.636.3873). This non-combustible panel is considered a higher form of protection to our Class A panels. Finally, above both our Class A and Non-Combustible panel comes our 1-Hour Fire Resistant panel. This panel is often required in facilities that required high levels of fire protection. Panel Built, Inc. offers a 1 Hour Fire Resistant consists of two layers of exterior steel skin, 5/8” fire-resistant gypsum, and mineral wool core with steel studs. However, Panel Built is not limited to just these previously mentioned panels to meet a certain level of fire resistance. Previously, we have developed a variety of custom panels to increase a previous panel’s fire resistance or adapt a panel to meet a customer’s unique project needs. Just tell us what you need and we will adapt our panel to fit your needs! Why Choose Fire Rated Wall Panels? Putting fire rated walls in your facility can be achieved in two basic ways: stick-built or prefabricated wall panels. However, modular fire rated wall panels provide a number of benefits over their stick-built counterpart. We have outlined in some of our previous blog posts the benefits of modular construction as a whole and here, we will apply these benefits facilities in need of fire-resistant structures. When a company decides to add a fire-resistant building to its facility, it will typically be a rather urgent matter. One of the biggest reasons we have found that a fire-resistant wall needs to be put in place occurs when the company’s insurance agency decides the extra protection is necessary in order for them to be insured or to lower their overall insurance costs. In either case, companies look to comply with the new standards quickly. When using a panelized wall system to solve your fire safety needs, project times can be shortened by up to 30-50% over that of stick-built. This allows facilities to get up to requirements as quickly as possible, keeping their employees safe and their insurance company happy. In addition to the shortened project time, the installation/erecting of the fire rated wall creates far less disruption at the job site when using wall panels. Our fire-resistant wall panels are delivered to the job site pre-cut and ready to be installed into the facility. That means that the amount of clean up and on-site cuts will be minimized, leaving little cleanup for the facility. Plus, the amount of heavy machinery and foot traffic from workers is a fraction of the stick-built alternative, and if either of these two are needed, they can easily be localized and isolated to that single area to cause minimal disruption to the rest of the facility. For a facility to be making money, it has to be up and running. 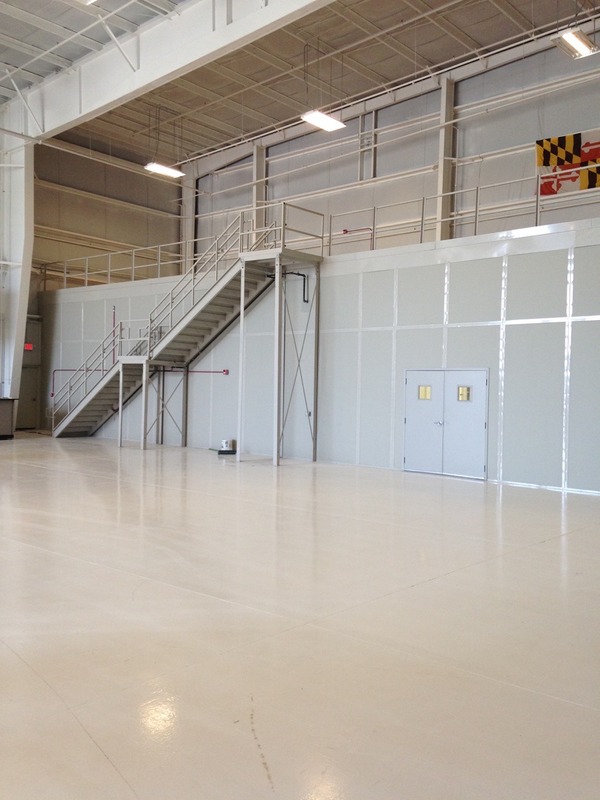 Using our fire rated wall panels to solve your fire resistance needs will help ensure your facility stays that way. As an added bonus, the short installation time will greatly reduce the amount of field labor that is needed on site to put the project together. Since on-site labor can sometimes be incredibly expensive, this reduction can also lead to an overall cost savings on the project as well. The work processes that go into putting together a prefabricated wall panel and a stick-built wall are almost entirely different. 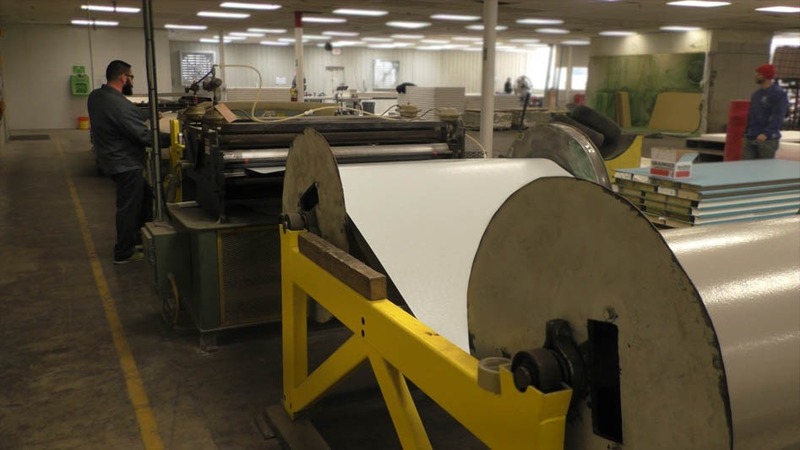 For one of our fire-resistant wall panels, each process that goes into putting the wall panel together has been broken down and optimized into simple steps that can be easily performed and repeated. What this means for us is that each of the individual wall panels has a consistent level of high quality from one to the next and since the same materials are used to make each one, they can be quickly and efficiently be made one after another. In addition to these benefits that will save time and money on your next fire rated building, prefab fire rated structures provided by Panel Built, Inc. are a fully turnkey building. The design, engineering, fabrication, transportation, and installation of the building can all be taken care of by us, and we can work with you every step of the way to ensure that this is the perfect modular structure for you. In addition, if the fire rated modular structure needs to be moved or expanded in the future, the structures are fully portable and expandable. So rather than having to build a new fire-rated wall altogether, the panelized wall can simply be altered to fit your changing needs which could be an enormous savings in the future. Ultimately, fire rated wall panels provide a number of advantages over the stick-built alternative, making them quicker and more affordable. The precision manufacturing and quick installation times allow for structurally sound, reliable fire resistance in your facility at a moment’s notice. If you have any questions about our Class A, Non-Combustible, or 1-Hour Fire rate wall panels, give us a call at 800.636.3873 or send us an email at info@panelbuilt.com. We are always more than happy to help with any questions you may have. We provide free building quotes in 24-48 hours from request.